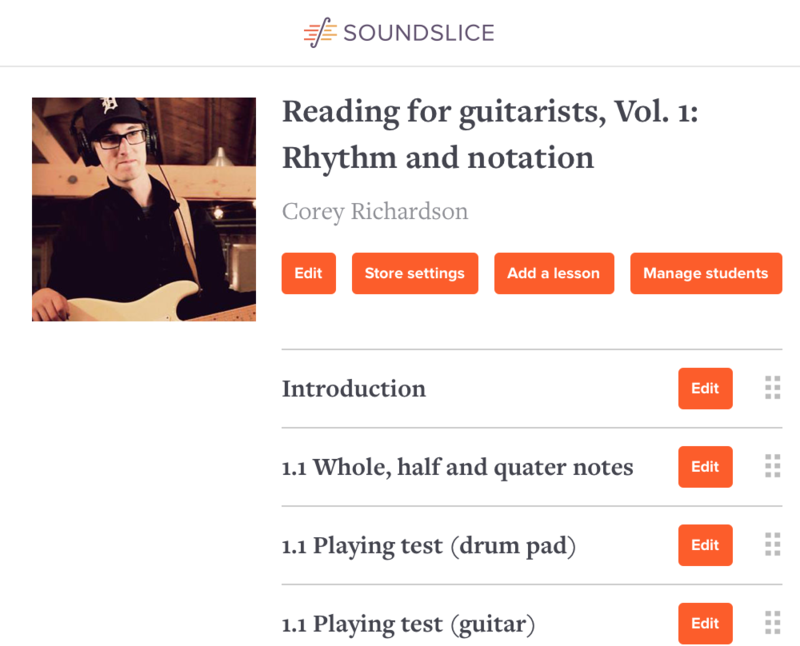 Will you use Soundslice for yourself, your students or your website? Upgrade to the Plus plan for more effective learning and transcription tools. Don’t want to post to your public channel? Share privately with bandmates, students...anybody with a web browser. Because not everything’s on YouTube, after all. Upload your own audio or video files and use them in slices. 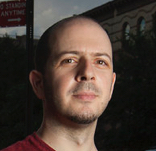 Want to polish your notation in another program? Export your created slices as MusicXML (suitable for Sibelius, Finale, etc.) or GPX (Guitar Pro format). You can also enable printing on your slices. Go back in time to see previous versions of your slices’ notation. View each saved version and easily restore any particular one. Tailor our notation/tab editor to your specific needs. With a Plus plan, you can set custom keyboard shortcuts for any of our hundreds of editor functions. We’ll display a special badge next to your username throughout the site — on your public posts, comments and more. We’re grateful for your support. Upgrade to the Teacher plan to create reusable lessons your students will love. 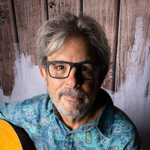 Teach music in person? Soundslice is an excellent complement. Create interactive learning materials and bundle them into private “courses,” which you can share with specific students. With a private course, you have fine-grained control over which students see which slices. 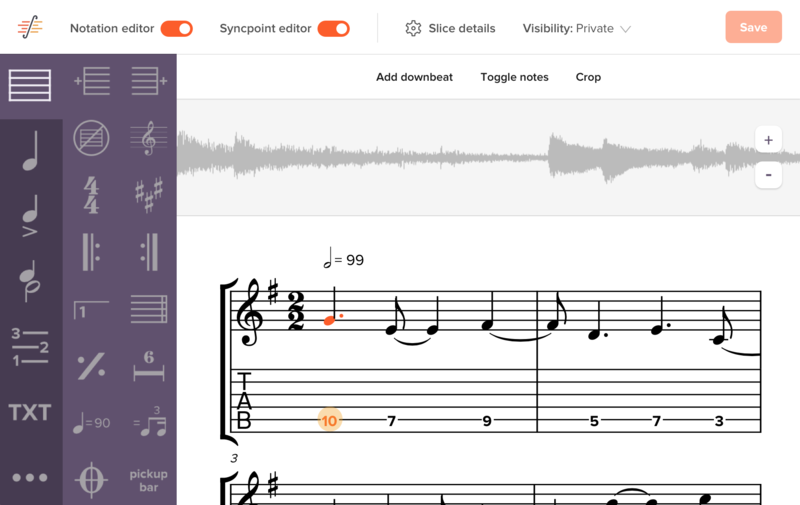 Students use Soundslice for free. You simply send them a course code and ask them to create a free Soundslice account. Then they can access the materials you’ve made for them. Using Soundslice with colleagues? Create an organization account so you can collaborate on slices easily — without needing to share passwords. If you have the tech chops, our data API lets you read and write your slices automatically. 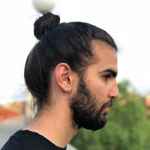 Mass-import MusicXML files, automatically load audio/video recordings and build other custom integrations with your own systems. 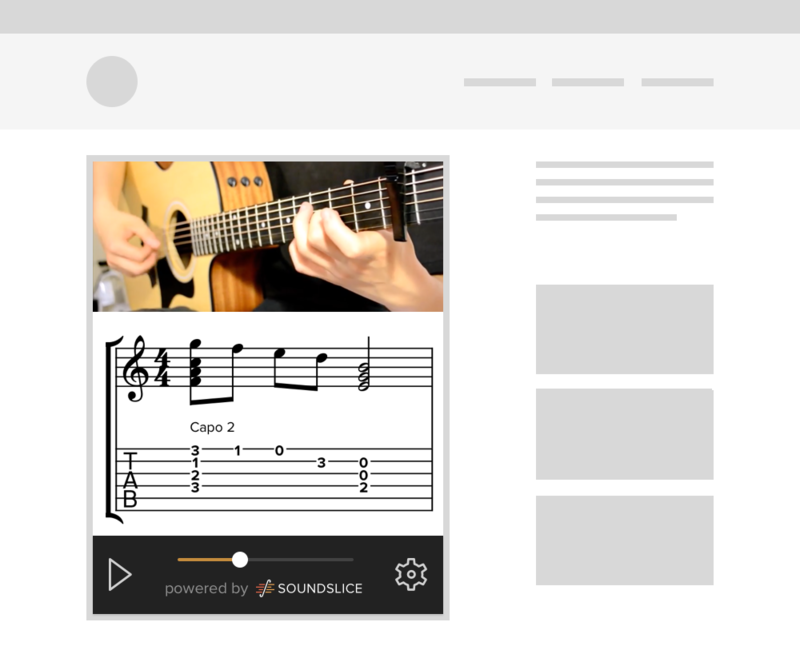 Make your online music lessons awesome with Soundslice Licensing. Give your customers the web’s best music learning experience: the full Soundslice player, all within your own site. It’s as easy as copying-and-pasting an embed code. Our embeddable player uses standard web technologies and works in any publishing system, including WordPress. If you can paste an <iframe>, you can embed Soundslice. We provide the raw materials: our video-and-notation player. You handle the rest. Subscription sites, e-commerce stores, free blogs, ad-supported magazines — each type of business can work with Soundslice. We’ve worked with licensing customers of all shapes and sizes — and we’re happy to help you figure out Soundslice integration. Every step of the way — from the initial idea, to implementation, to ongoing improvements — we’re excited to work with you.